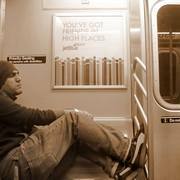 For a more accessible subway! 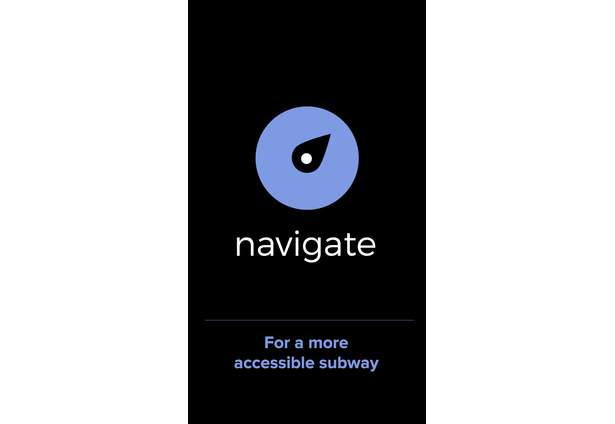 Inspiration: The Navigate app, sets out to help blind and visually-impaired riders navigate individual subways stations. Often blind riders have a challenging time understanding where they are within a subway station, such as where stairways lead to, or which platform they may be on. How it works: The user must have the Navigate app running and their device's accessibility voice-over feature set to ON. When they come into contact with an in-station beacon, the app will deliver relevant, location-based information about where they currently located within a station. The blind users we tested with, wanted the app to give them a mental-model mapping of the station layout based on north, south, east and west directional information; example: "to your North is the 4,5, 6 Downtown stairwell." We designed the interface around this request. Comments for this submission are closed. View the software in KristinL1's portfolio to continue the conversation.